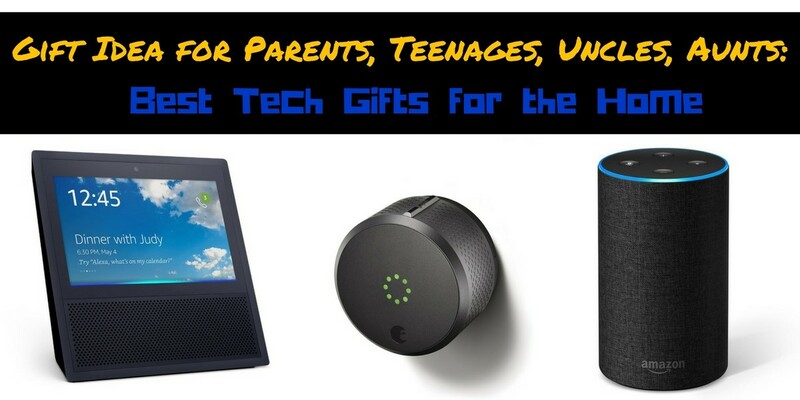 The best tech gifts for the home now come with such a variety of uses that they can appeal to parents as much as to teenagers. How often does that happen?! Most of the smart home gifts appeal because of their convenience but there’s also a certain wow factor, with what the technology can do, and this is what makes them a great gift. Home based smart technology is becoming very popular very quickly. This is particularly because it’s so easy to set up and use. And this can be a great gift for your parents or other loved ones who live on their own. Smart home technology makes it easier to control many of the aspects of your house such as the temperature. And it allows you to seamlessly connect your home to many internet services. The great thing about giving tech gifts for the home is that you can later buy add-on compatible gifts. These can be given on other occasions in the year like birthdays, Mother’s day or Father’s Day. Most smart home devices allow you to use your phone or even your voice to control these features. Possibly the most popular smart home device is the Amazon Echo, and for good reason. ⇒ To buy the Amazon Echo, click here to see details and price. 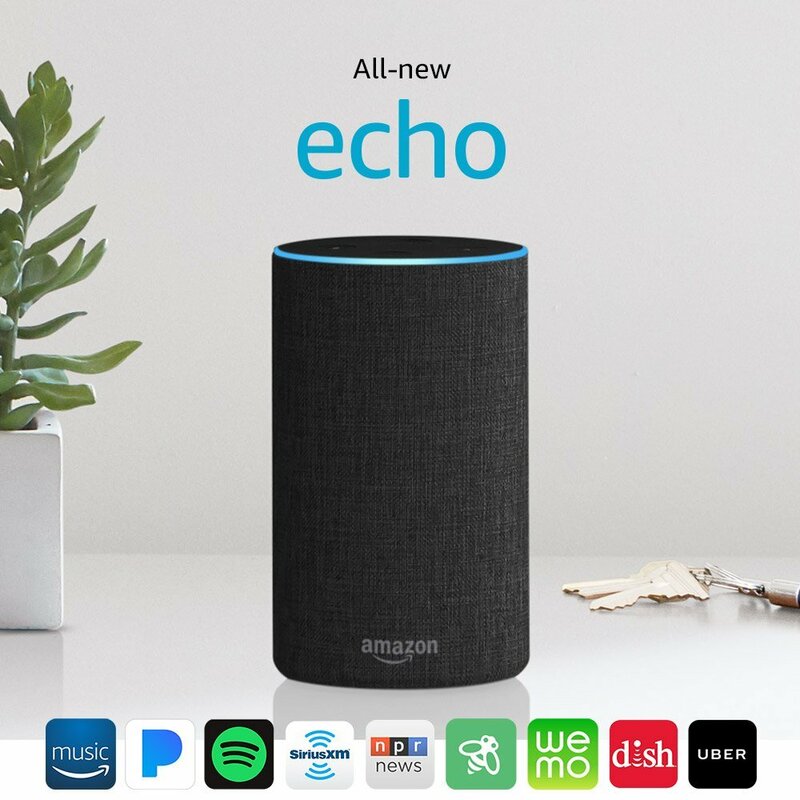 The Echo is compatible with tons of different services, from Amazon Music, to Spotify, to Uber, and even Domino’s Pizza – so teenagers and adults alike will enjoy this as a gift. You can access all of these services by using voice commands directed at Amazon’s artificial intelligence app, Alexa. For example, if you wanted to play a certain song from your Spotify playlist, you’d say, “Alexa, play” and then say the name of the song. When you think about tech gifts for the home, you’re not limited by voice commands. You can also use an app on your phone to connect to the Echo if you’re not a fan of voice commands. One of the most important parts about the Echo is that it’s compatible with many other smart home devices. If you have smart technology in your lamps, garage, locks, TVs, or anything else, you can turn them on and off using the Echo. Alexa will also answer any basic questions that you might ask Apple’s Siri, such as the weather, the news, traffic, and more. There are a few different versions of the Echo available. The most common version is the full sized original one. Amazon has also released a smaller, compact Echo called the Echo Dot. 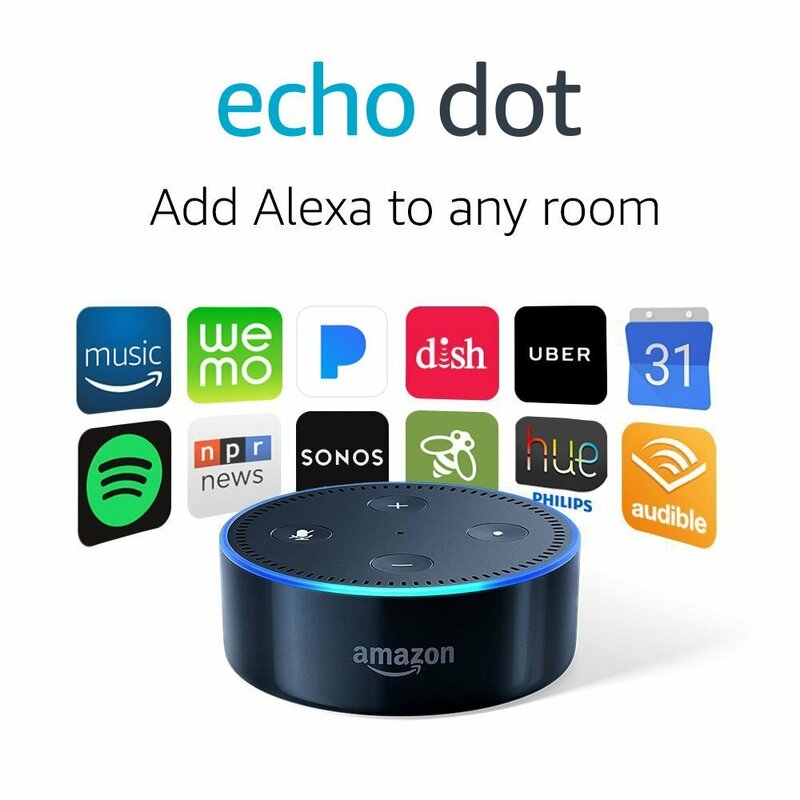 The Echo Dot has all of the same features, but due to its smaller size and lower price, the range on it isn’t as good. You can pair Dots together as range extenders, however. Currently, their most expensive variation of the Echo is the Echo Show. The Echo Show has a screen and a webcam, allowing you to make video calls straight from the device and watch YouTube videos. Can you imagine all the uses you could find for this device. If you’re interested, see the video below. ⇒ For an excellent price on the Echo Show, click here to see more. 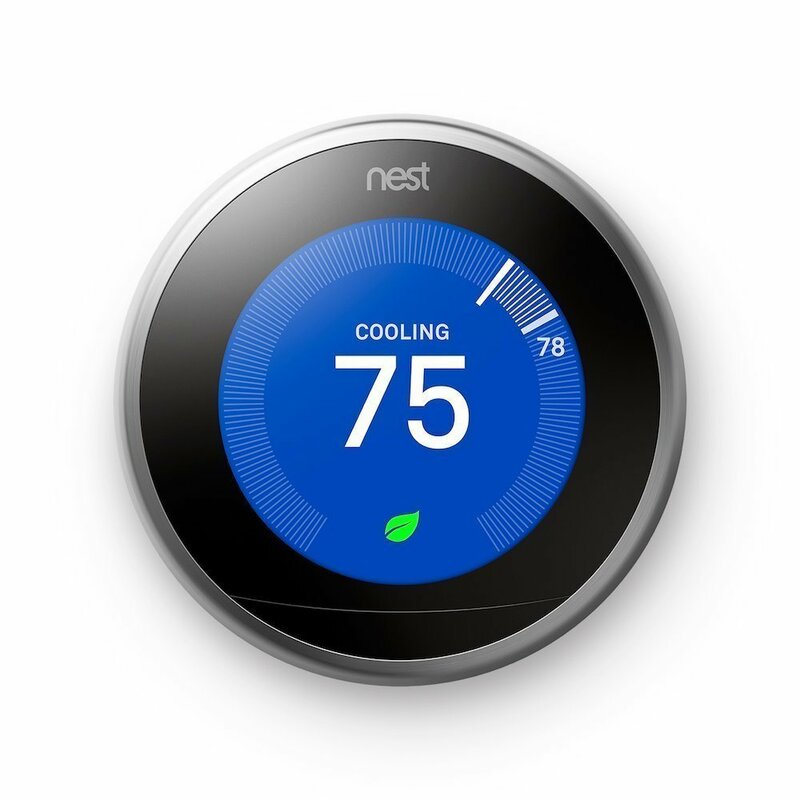 Another wildly popular smart home device is the Nest thermostat and this is a great higher end gift for someone on your list. Instead of getting up and setting the temperature on your thermostat manually, you can now do it from your phone with the Nest. ⇒ For more details on the Nest, Click Here. The Nest also helps you save energy by adjusting the temperature accordingly when nobody’s home. So if it’s a hot day, you can have it set low while you’re home. But when you leave for work, it will raise the temperature, so the AC system uses less power. You can even control the temperature while you’re at work remotely. This means you can have the house cooled off by the time you get home. This makes it a fantastic gift for anyone who is trying to control electricity costs. 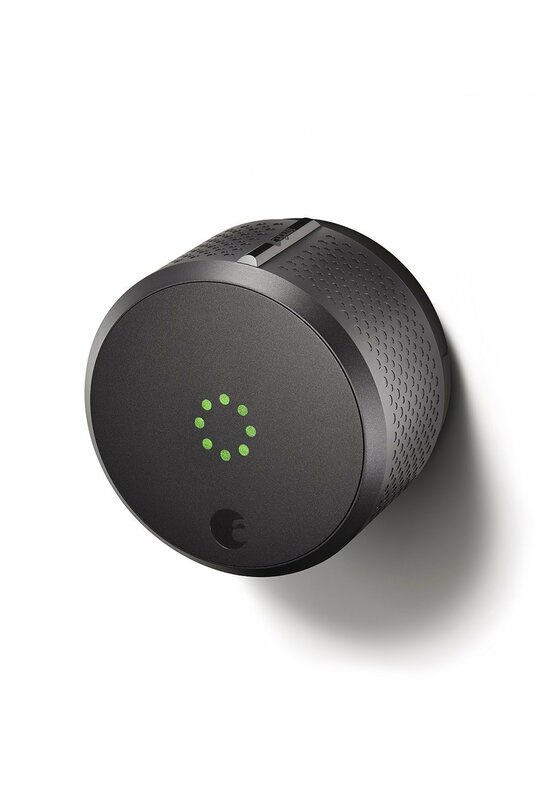 One increasingly popular smart device is the smart door lock. If you’re thinking about tech gifts for the home, this is a must. This is the perfect gift for someone who you feel needs extra protection and security. They’re very easy to install, and your original key will still work with them. But it has the added functionality of being able to be remotely unlocked. For example, if you were out and about and you needed to let your friend into your house to let them get something. 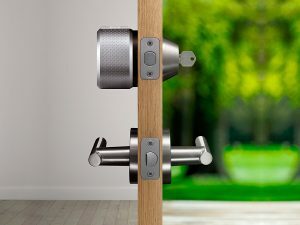 Then you could unlock the front door from your phone and lock it again when they leave. If you got locked out accidentally, but still had your phone, you could unlock the door and get your keys from inside. It will also automatically lock your door if you forget to as you leave. When you’re buying a gift for someone in your family this holiday season, consider smart tech gifts for the home. You’ll not only be giving them something exciting and convenient but it could also be something really helpful. This entry was posted in Gifts on November 2, 2017 by Cindy.